Item # 307254 Stash Points: 6,995 (?) This is the number of points you get in The Zumiez Stash for purchasing this item. Stash points are redeemable for exclusive rewards only available to Zumiez Stash members. To redeem your points check out the rewards catalog on thestash.zumiez.com. 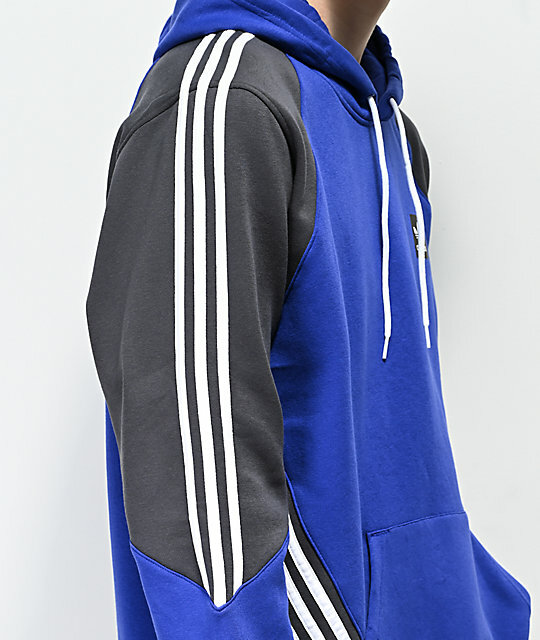 Freshen up your look in cozy style with the Insley Blue & Grey Hoodie from adidas. 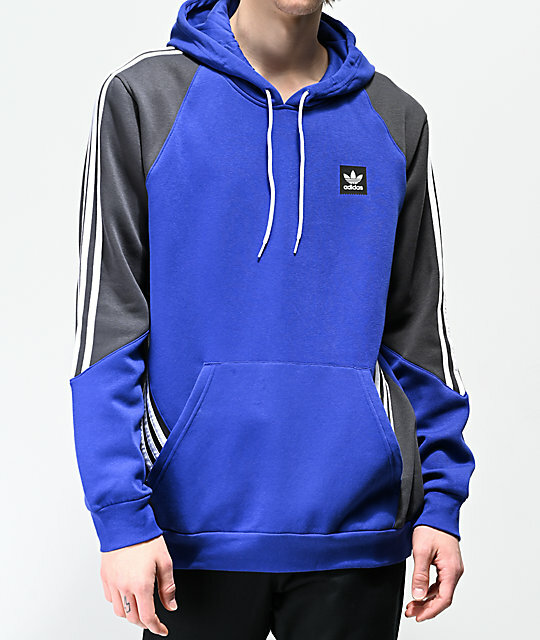 This eye-popping hoodie features a screen-printed adidas Blackbird logo at the left chest, and unique adidas tri-striping down the sides as well as the sleeves for a truly iconic look. 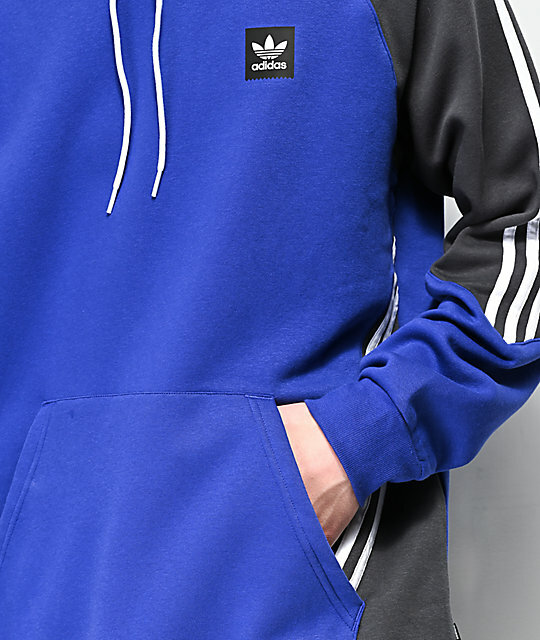 With a fleece lined interior and tagless neckline, this ultra-comfortable sweatshirt is a perfect addition to anyone's streetwear collection. 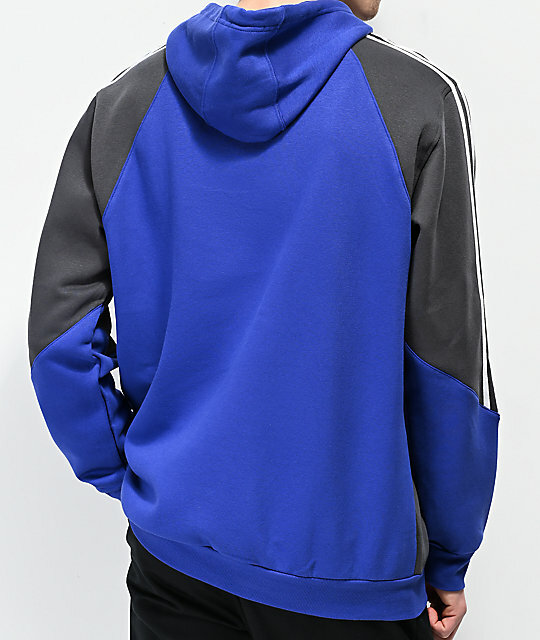 Insley Blue & Grey Hoodie from adidas.